Give it up for this month's dark horse contender. 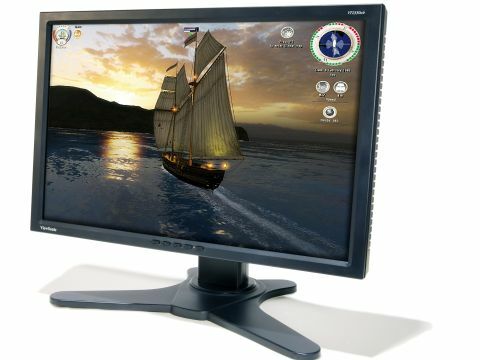 This monitor has slipped onto the market with little to no fanfare as a replacement for the VP231Wb, and in many ways it's a dead ringer for its progenitor. The chassis is similar to all 'VP' series monitors - a quality item with almost infinite adjustability. Likewise, the 23-inch diagonal, 1,920x1,200 native and super-fine pixel pitch are extremely welcome repeats of the VP231Wb. But the big change is the move from IPS to MVA panel technology. That means a major upgrade in contrast performance, improved viewing angles, boosted brightness and a healthy dollop of colour saturation. HDCP support is new, too, although somewhat undermined by an artificial limitation to 720p content.